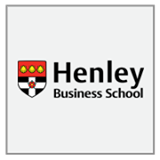 As part of one of Europe's oldest business schools, Henley Business School Africa has learned from, embraced and responded to change throughout its lifetime, and stands apart as a global and progressive business school for the twenty-first century. Our programmes are carefully designed to address the ever-evolving challenges facing organisations in every sector, in every country and at every level. Welcome to Henley Business School! As has been the case in recent months, the coming years will, unquestionably, continue to present executives and organisations around the globe with difficult decisions and often unprecedented challenges. Our stance is clear: organisations only survive and thrive in any economic cycle due to strong leadership and sound judgement, anchored in a core set of personal values. Today's global situation calls for leaders who can balance managing strategically, ethically and, most importantly, responsibly against a backdrop of potentially limited resources, a downturn in demand and fiscal uncertainty. These leadership qualities are the critical drivers for ensuring survival, and for identifying and capitalising on opportunities arising from the current macroeconomic climate. And it is these qualities that will build sustainable competitor advantage, maximise shareholder value and fuel future growth. We will continue to develop leaders to make the right choices: right for themselves, right for their organisations and right for the wider communities in which they exist. Whilst our reach and scale are genuinely global, the service we provide and our attention to detail are specific to the needs of each individual student, programme member and organisation with whom we work. That continued development of each learner is central to what we do. That wealth creation is important for society as a whole, not just for individuals.